Wörrstadt (renewablepress) - The project marks an extraordinary milestone in the more than 22-year history of the manufacturer-independent project developer for wind and solar parks. With the construction of the four wind turbines in Thuringia, juwi is one of the first German project developers to reach the mark of 1,000 wind turbines onshore. 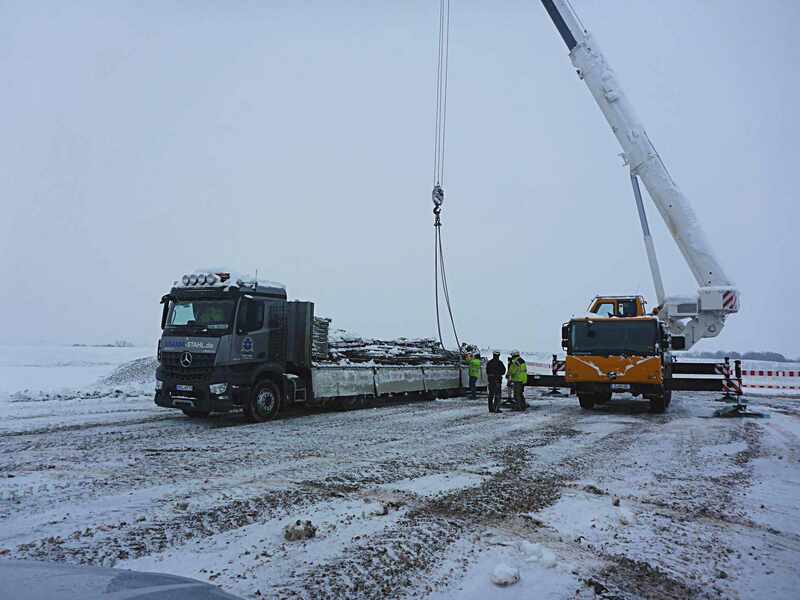 juwi has just started laying the foundations in Mohlis, some 25 kilometers east of the city of Gera. The park is scheduled to be commissioned in late summer. The beginning of constructions in Mohlis also marks juwi’s successfully arrival in the new EEG world: the project was one of the company’s first to be awarded from the Federal Network Agency last year and is now being built. Awarded tenders of more than 230 megawatts for wind and solar parks make juwi one of the most successful project developers of the year 2018.
juwi's thousandth wind turbine is a Vestas V136 turbine with a nominal output of 3.6 megawatts, a hub height of 149 meters and a rotor diameter of 136 meters. The total height is 217 meters. After commissioning, the four wind turbines will jointly generate around 50 million kilowatt hours of climate-friendly electricity. This corresponds to the annual consumption of more than 16,000 households. The anniversary plant impressively documents the expertise of the juwi group in the planning, construction and operation of wind turbines as well as the technological advancement of wind energy over the past 20 years. "In 1996, a 500-kilowatt-class wind turbine generated around one million kilowatt hours per year, and today we are creating around twelve times this much with the Mohlis plant. And the costs have fallen enormously, to now only about five cents per kilowatt hour, "juwi executive Michael Class emphasizes. Up until now, juwi completed 790 installations in Germany, with 210 installations abroad, including in France, Poland, the USA, Costa Rica and Uruguay. After the bidding rounds of the year 2018, juwi is one of the most successful project developers in Germany. More than 130 megawatts of wind and around 100 megawatts of solar tenders were secured by the company based in Wörrstadt, Rhineland-Hesse. The key to the success proved to be the extensive market analyzes and the juwi-internal database, which contains not only the data from the Federal Network Agency's register of facilities, but also many records on current approval procedures. Based on this, the company works with detailed yield simulations, which calculate, among other things, aggregate probabilities for certain bid levels and several follow-up rounds. In the 2018 wind tenders juwi secured 14 out of 15 tenders above the average value of each round. “Above all, we want to deliver the optimal bid in the bidding process that is optimal for us,” says Meinrad Wagenschwanz, Vice President Renewable Energies Germany. juwi will also be involved in new projects in the coming calls for tenders from the Federal Network Agency. The juwi group was established in 1996 in Rhineland-Palatinate/Germany. Since the end of 2014, Mannheim based utility MVV Energie AG has been partner and shareholder of the juwi Group. juwi has about 850 employees worldwide, branches on all continents and is actively engaged in various projects all over the globe. Working together with passion to implement renewable energy economically and reliably is what drives us. So far, juwi has realized 1,000 wind turbines with a total capacity of more than 2,300 megawatts at more than 175 sites globally. In the solar segment, more than 1,700 projects with a total capacity more than 2,500 megawatts have been designed and constructed. Combined, these energy systems produce around 8,0 billion kilowatt hours of clean energy per year, equalling the annual demand of more than 2.6 million German households. Within the past 20 years, juwi has initiated an investment volume of around 8,8 billion euros to realize these projects. Attention editorial offices: For further questions please contact Herr Felix Wächter, juwi AG. Please note: The emittent / publisher »juwi AG« is responsible for all contents.